IBM has revealed plans to launch 18 additional cloud availability zones, although it didn’t disclose the timeframe for the expansion. Each availability zone consists of at least one data center with independent power, cooling and networking, but can sometimes include several. The company said it will deploy additional infrastructure in the markets where it already maintains strong presence - in the US, the UK, Germany, Japan and Australia. It’s not clear whether the Big Blue will build its own facilities, or lease space from major colocation providers. The announcements were made on the first day of CeBIT – the world’s largest IT expo, taking place this week in Hannover, Germany. IBM says it maintains cloud infrastructure in nearly 60 locations, and its cloud services bring in $17.7bn in annual revenue. The location of sites in the UK and Germany has not been revealed, but the new Japanese availability zone will be located in Tokyo, the additional infrastructure in Australia will be in Sydney, while new zones in the US will include Washington DC and Dallas. 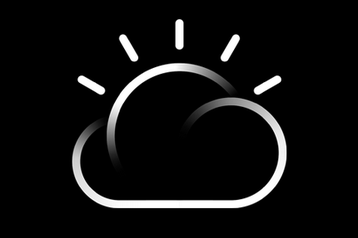 IBM has also announced it has signed up three major cloud customers: oil and gas giant ExxonMobil, eye healthcare specialist Bausch + Lomb and Australia’s Westpac bank. “The world’s biggest companies work with IBM to migrate them to the cloud because we know their technology and unique business needs as they bridge their past with the future,” said David Kenny, senior vice president, IBM Watson & Cloud Platform.